Happy Festivus for the rest of us, or how your belief system at work may dictate the real culture of the organisation. 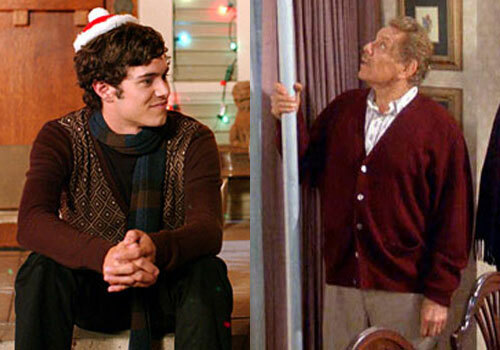 Festivus is Seinfeld’s alt version of the Winter solstice celebrations, although in my household we prefer the lighter, warmer and more presents alternative from the OC. (“Chrismukkah : 8 days of presents followed by 1 day of many presents”). Since it is that time of year when thoughts turn to parties, presents and of course spiritual joy here’s a thought about how the culture of your organisation is almost certainly inspired by one of 3 belief systems as described by Zen thinker Alan Watts. His thinking on 3 of the major world religions has inspired me to consider the analogies with the workplace. Before I continue (and possibly begin offending some people which is not my intent) I should point out that Watts was not a priest, a monk or a guru. He simply called himself “A spiritual entertainer, with nothing at all to sell”. His “act” was explaining Eastern religions to Western audiences. He made things simple. As such, the ideas I’m about to explore are based on very simplified comparisons of three major religions. He summed them up like this: in Judeo-Christianity, the universe is a construct (God made it); in Buddhism, the universe is an organism (everything is interdependent on everything else); in Hinduism, the Universe is a drama (we are all aspects of the Supreme being, acting out different paths). It strikes me that most companies work in one of these three ways. If Hinduism is a drama or a game, there are obviously levels to progress through, and the secret to success is to understand the game and how to play it (admittedly the real secret is to see beyond the game – but we’re talking about management styles here, not enlightenment!). If your work place is like this, then you need to work out how to win at the politics at play in order to progress. Buddhism is an organism. Everything is connected and interdependent and you cannot have light without dark, brilliance without pain or success without loss. This kind of organisation rewards team efforts. You won’t succeed there by being a star yourself but by driving collective success. They will accept failures because they believe that they are both inevitable sometimes and that they give people the best possible lessons. Judeo-Christianity is different again. It is a world that has been constructed by one ruler. If you work hard within the system then you are rewarded by that ruler. This kind of company will have a strong and rigid structure, clear hierarchy and you will succeed if you do as you are told. What kind of business do you work in ? If you’re not sure, think of the language the business uses: did the senior management “build” the company, or did you all “grow” it? Is the business consistent? Does it behave in one way with its spoken cultural agenda, but in a different way with its rewards system ? Perhaps more pertinently, which kind of business are you best suited to succeed in? Take some time this Chrismukkah to think it through for 2013.